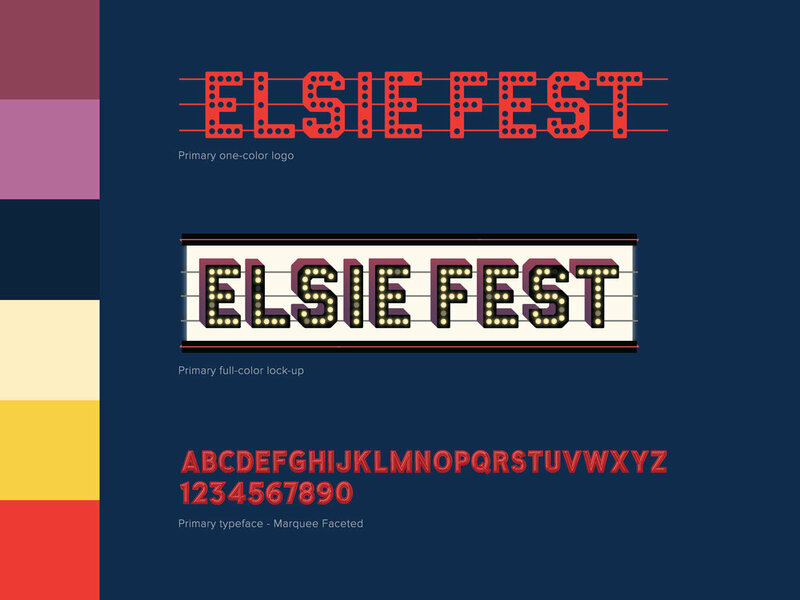 A hand-drawn, Broadway-inspired logo treatment was created alongside New York-themed music festival branding for Elsie Fest, a first of its kind, outdoor music festival celebrating tunes from the stage and screen. Taking place on Pier 97 in New York City, acts performed songs from their own musical properties, in addition to some of their favorite pop songs. The one-of-a-kind festival admat was then rolled out in to an official line-up poster, web and social media graphics, and limited-edition merch including hand-illustrated T-shirts, tote bags, posters, VIP laminates and more.